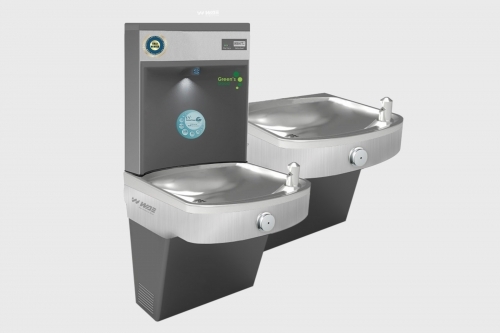 Heavy-duty pedestal drinking fountain with push-button valve assembly allowing for front access stream adjustment as well as cartridge and strainer access. 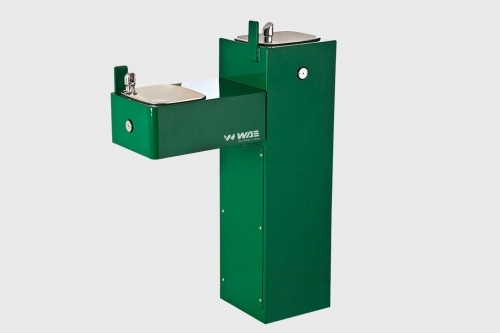 The "Hi-Lo" barrier free provides for twice the users as regular drinking fountains. 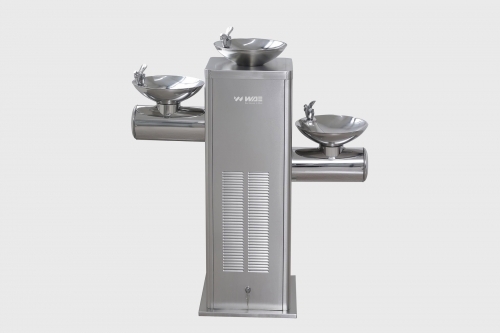 Ideal for outdoor public amenities.